Bruce Braley’s gaffe: The Iowa Democrat who attacked Chuck Grassley and Iowa farmers. The Iowa Democrat who belittled Iowa farmers while praising lawyers. Rep. Bruce Braley (D-Iowa) in 2012 in Waterloo, Iowa. Why is this so awful? Let us count the ways. Iowa is a farm state, and it’s never a good idea to disparage one of the state’s chief occupations. Next, it’s particularly not a good idea to demean your state when you’re somewhere else: In this case, Braley was speaking in Texas. Next, Braley, a trial lawyer, was making his pitch to a room full of trial lawyers at a private fundraiser (which is why he didn’t think he was being recorded). Trial lawyers are perhaps the most unpopular constituency among Republican base voters—besides Obama administration officials. Since midterm elections are all about motivating your base, Braley has given his opponent a turnout gift. Next, look where Braley is standing: If you’re going to talk down to Iowa farmers, at least don’t do it next to a table of booze. It makes for amusing viewing and that reinforces the idea for voters that you’re not one of them. 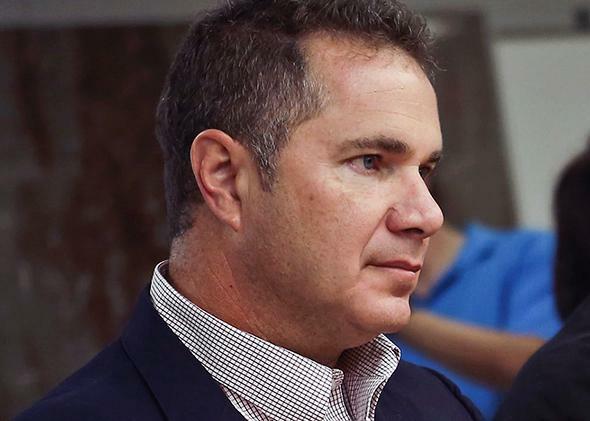 Braley’s gaffe is the result of both the rise of money in campaigns and the ubiquity of technology. Candidates must raise more and more money—the average amount spent to win House and Senate races has doubled in 12 years—which means more and more evenings by the bar cart straining for money. Since technology is everywhere and cameras are small and always on (see: 47 percent), it also means there will be more opportunities to broadcast candidates when they are saying anything to get elected. And when you want people to like you and they don’t show it—whether with money or applause—technology can work in your favor. Senate Minority Leader Mitch McConnell released a new ad in which audiences can be heard roaring approval as he outlines his vision. But listen to the actual speech from which the ad was drawn: The audience responded not with wild approval, but with a golf clap.